Bouncing off a trampoline is a great and fun way of spending your free time. Apart from being fun, using a trampoline is an enjoyable low impact workout session. It provides you with cardiovascular health, keeps you fit, and keeps your muscles in rhythm. Jumping up and down on a standard trampoline makes you burn excess calories and boost your metabolism as well. Your buttocks, legs, and core get into shape too. So, it’s safe to say that playing a trampoline does your body a lot of good in as much as it’s a fun activity. 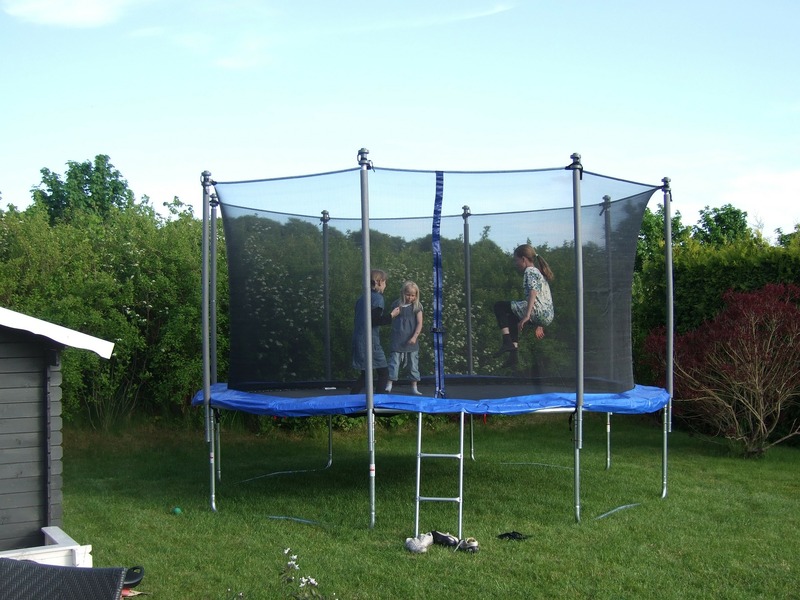 Those who are looking to play on a trampoline have a common question, what muscle do you use when playing a trampoline? If you are one of these people, then find out as we dive into the world of trampolines and how it benefits your overall body health. Before I get you into the details of the muscles involved, it would be a great idea to first of all understand how a trampoline works. It would help you better understand the muscles you would ordinarily use to jump on a trampoline. Every jump is facilitated by a combination of several motions, each related to particular body muscles. This is the first motion before your feet leave the trampoline mat. It takes you from a sitting to a standing position. To better understand it, imagine yourself seated on a chair. Then, you suddenly stand up. That motion is called hip extension and involves muscles found in your upper leg. This is the second phase of trampoline jumping. It actually occurs simultaneously with the hip extension. Knee extension is the motion that straightens the entire leg at the knee joint. For this, the quadriceps muscle is used. The final movement is the pointing of the toes downwards as your body leaves the trampoline mat. This motion is referred to as ankle plantarflexion. It involves your calf muscles. It turns out the activity you loved as a kid and still do up to now is a great way of giving your body a thorough workout. For adults, there are also trampoline jump boots that you can use quickly in places where you cannot easily access your trampoline. 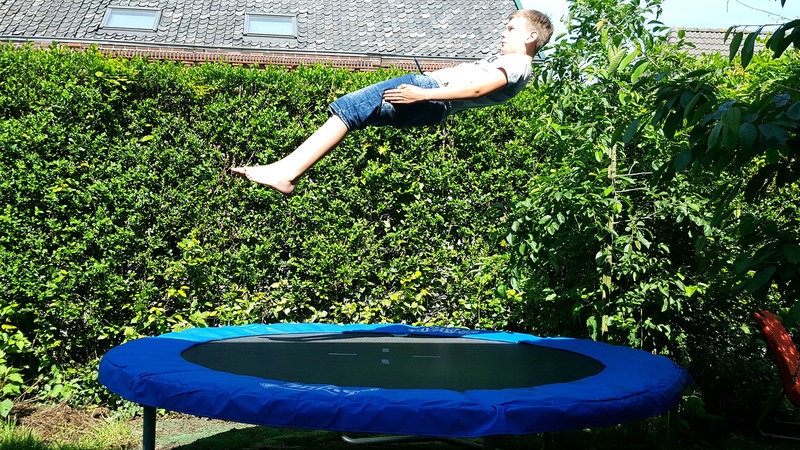 Studies carried out by the American Council on Exercise (ACE) show that bouncing on a trampoline for as long as 20 minutes is as great as running, albeit with more fun. A trampoline gives your whole body a workout. However, there exist certain muscle groups that are engaged more as you bounce up and down. Here is a laydown of some of these muscle groups. This is one of the groups of muscles you use when playing a trampoline. The quadriceps are the muscles located at the front of the thighs. They are further subdivided into four different muscle components. These are vastus medialis, rectus femoris, vastus lateralis, and vastus intermedius. As you jump up and down, knee extension and hip flexion give your hamstrings a workout too. Your whole lower body from the legs, through the thighs to the buttocks, is engaged just like any other jumping activity. As your body uses your legs to control the jumps and maintain your balance, the smallest of movements would strengthen the leg muscles. Calves too are used just as the knee and ankle joints. Working out on a trampoline is probably not possible without engaging your abdominal muscles. Springing yourself up and then balancing yourself as you land requires that you flex and release your core muscles (abdominal). The results are stronger abs without suffering from the high impact jumps when you land on hard surfaces. Jumping on a trampoline is an actually low impact activity meaning that as you flex your abdominal muscles you get a workout that’s also fun. The good thing with getting your abdominal muscles involved is that you do not have to try too hard to get it done. If you are looking for a stronger core, then playing a trampoline would be actually more effective than abdominal crunches and sit-ups. The tension and stress you gather every day in life gather around your shoulders and back. Strengthening these areas, especially those around your spine can be tricky at times. Fortunately, the trampoline absorbs almost all the chock that you could have potentially absorbed. You, therefore, get a way of activating these muscles without putting too much strain on your body. Back muscles around your spine work tandemly with abdominal muscles. As your back muscles contract with every bounce you get a more stable core. Your shoulder blade area becomes stronger, so does your body balance. After a strenuous day at work, a round of jumping on a trampoline becomes quite relieving, making you feel happier and less tense. Technically, you don’t use your upper body to jump. However, in the process, these muscles tend to get a workout too. As you jump, you fling your shoulders and arms around automatically. This maneuver helps you gain stability and adequate balance for the next round of upswing. Upper body muscles sometimes referred to as stabilizer muscles get albeit a small workout, contributing to an overall upper body strength. This is another muscle group that’s integral when playing a trampoline. The rear gluteal muscles in particular get engaged with every jump and consequent landing. It is one of the muscle groups that aids you get up in the air, then safely land back. In addition, bending your legs and knees to complete a jumping motion engages the hip muscles. The hip flexors and abductors, in particular, get more worked up. Of course, every strenuous exercise involves this muscle group, using a trampoline is no exception. The cardiovascular muscles work to pump blood to the rest of the body and muscles as well. Through this, the blood replenishes the oxygen used up by the muscles during the workouts. Exercises that engage these muscles help lower your blood pressure. As a result, you lower your risk of developing cardiovascular problems such as blood clot and heart attack. Besides getting the aforementioned muscle groups a thorough body workout, playing a trampoline provides you with other health benefits. Boosts immunity by facilitating the release of toxins from the body as it increases lymphatic flow. So, what muscle do you use when playing a trampoline? As you can see, rebounding greatly benefits your body in ways that you might not have thought. Through it, you get to combine a thrilling experience and a low impact body weight. The presence of a trampoline mat absorbs most of the landing energy that would have otherwise been felt by your joints. This exercise involves the use of a majority of your lower body muscles, as well as your core. So, if you don’t have a trampoline already, why don’t you get one and start enjoying these benefits. Any major store usually has a variety of trampolines, you just have to try the free section first, and jump on all of them to pick the one you’d like before buying it here!